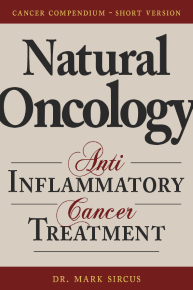 Several recent studies shows that cancer is an inflammation and chronic inflammation fuels câncer. As we can define cancer as an inflammation, we can employ an army of anti-inflammatory therapies. The most common cancers—colon cancer, stomach cancer, esophageal cancer, lung cancer, liver cancer, breast cancer, cervical cancer, ovarian cancer, prostate cancer, and pancreatic cancer have all been linked to inflammation. Sometimes inflammation directly causes cancer, like the match stick that starts the fire. In other cases, inflammation causes an already established cancer to grow more and spread more, which is more like pouring “gasoline” on cancer’s flame. The Natural Allopathic Medicine protocol is powerful and at the same time extraordinarily safe because nutritional medicines, not pharmaceuticals, are employed. Magnesium chloride, sodium bicarbonate (baking soda), liquid selenium, sulfur, iodine, glutathione and Vitamin C, medical marijuana, oxygen and medical water. Cancer usually starts within the blood, so eating things and drinking fluids to make your blood more alkaline and oxygen rich brings renewed hope to the war against cancer!